Armstrong is executive vice president of worldwide business affairs for Warner Bros. Pictures, where he oversees all day-to-day business and legal aspects of worldwide film acquisition, production, and distribution for the studio, including supervising the negotiations of key deals with filmmakers and talent. During his career at Warner Bros., Armstrong has been involved with several key film projects, including Dunkirk, Fantastic Beasts: The Crimes of Grindelwald, Justice League, Lego Batman, Ocean’s 8, Ready Player One, The Dark Knight trilogy and Wonder Woman. Before joining Warner Bros., Armstrong was an attorney at Walt Disney Pictures. He began his career as a litigation associate on the entertainment team at Paul Hastings LLP in Los Angeles. Armstrong is a dedicated member of the Law Board, and won the Northwestern Alumni Medal in 2018. Additional information on graduation week events can be found on the Convocation page. 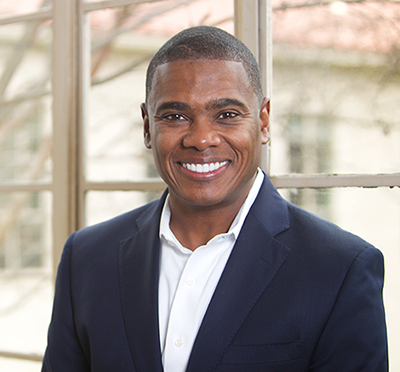 Learn more about Armstrong and his Northwestern Law experience.